Whether through blunt force trauma or a laceration from an occupational or sports injury, there are multiple causes for outer ear damage, some of which extend to the middle and inner ear. Even so, when the delicate structure of the outer, or visible portion of the ear is damaged, cosmetic surgery is often needed to repair it. Dr. Mark Mitchell Jones is a national leader when it comes to ear damage and reconstruction surgery. For patients of all ages, Dr. Jones has performed over 500 ear surgery procedures, as he is double board certified in plastic surgery and otolaryngology (ENT). 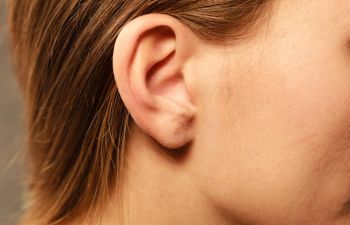 While it’s easy to classify symptoms relating to the outer portion of the ear, there are other symptoms that indicate that an injury has also affected the middle part of the ear. For instance, an individual might feel dizzy or experience vertigo, along with pain or a lack of ability to hear. In some cases, a person might feel sick and begin vomiting. Given the fragility of the ear and its surrounding structures, it is imperative to choose the right plastic surgeon if you’ve sustained ear damage, deformity or severe trauma. Dr. Jones understands that damage to the ear is personal to a patient, and every surgical repair is different based on the unique structure and characteristics of an individual’s ear. Taking ample time to listen to each case, Dr. Jones employs several techniques, from classical microtia repair to the time tested rib graft technique. With a compassionate approach, Dr. Jones continues to produce natural, better-looking results in ear damage repair and reconstructive surgery. If you or someone you love have suffered damage to your ear, contact Atlanta Plastic Surgery Specialists, P.C. to schedule a consultation with Dr. Jones today.